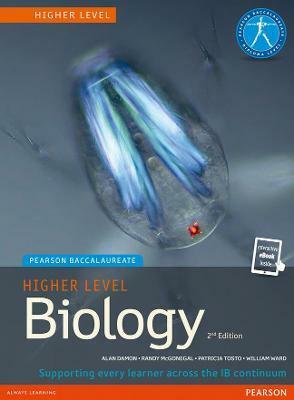 This is a short review of the new editions of Biology text books which have been published for the IB Biology course. Never before has there been so much choice but the price of text books is rising faster than the budgets of most school science departments. Choosing the best book is more important now that it was in previous years. This is a really thorough and comprehensive text book covering all aspects of the new 2014 syllabus for both SL and HL. This book has been completely revised and gives great support for the new concept-based approach to learning. There are Nature of Science sections in every topic. The author is extremely well connected in the IB and the book is endorsed by the IB. It would be a great text for able students or a class reference book. This book is a completely updated version of the thin study guide for the old guide. It covers the key concepts for the 2014 syllabus in simple one page summaries. This would be a good resource to help students revising at SL and HL. The pages break concepts down into manageable short sections and with diagrams and illustrations are really clear and helpful. Exam questions are given at the end of each section. This book is directly linked to the Oxford Biology Course Book and is a good complement to it. 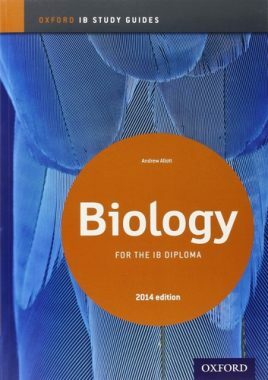 This is a second edition updated to cover in full the requirements of the IB syllabus for Biology for first examination in 2016. The text is well spaced and clearly written and the layout on the page makes it easier to read than some other books. 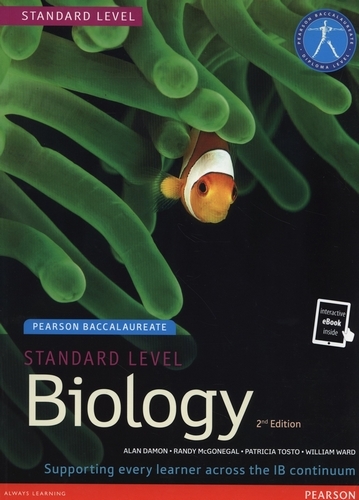 This would be a good class text book and would not put off the less academic students or break their backs, as its page format allows it to be thinner than most other IB Biology books. Completely revised new edition of the market-leading Biology textbook for SL, written for the new 2014 Science IB Diploma curriculum. Now with an accompanying four-year student access to an enhanced eText, containing simulations, animations, worked solutions, videos and much more. This book lots of detail, clear black and white diagrams and nice explanations. The pages look traditional in format and the text is in quite large blocks. It is laudably printed on partly recycled paper which makes the look a bit less glossy than others. There are some chapters where the content is not closely matched with IB Biology some content is missing and extra material is included. It has a very attractive low price. 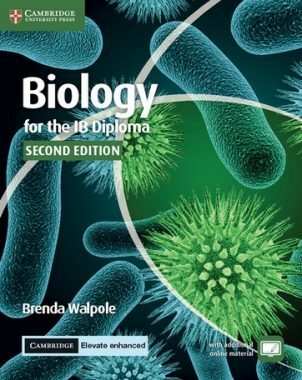 The previous edition of this book was an excellent text which explained the biology clearly without constraining the explanations of the biology by linking too closely to the IB guide. The publishers claim to provide clear guidance to the 2014 changes and ensure in-depth study with accessible content, directly mapped to the new syllabus and approach to learning. This is a great resource. The book suits the more academic students as it has a high level of biological detail. The new edition has more activities and the content closely matches the new IB guide. There are many novel biology examples and nice explanations followed by comprehension questions. The style is not exactly like IB exams but the biology is clearly explained. Well worth the money. This book of model answers is a great help for a busy teacher. This book might be very useful for those Biology students who find maths difficult. It covers aspects of designing investigations, statistics as well as the nature of science. There are activities and questions for students to do for each skill addressed and answers at the end. Worth a look for the price.